Earline Loper Jordan – age 87, went home to be with her Lord and Savior on January 2, 2019. 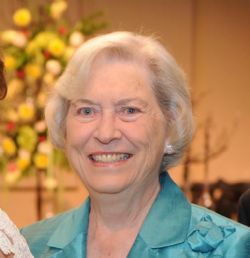 Earline was a resident of the Mobile area until 2005 when she and her husband Monroe moved to the Birmingham area. Earline was preceded in death by her husband, Monroe; her parents William and Edna Thompson Loper; two brothers, “Nubby” and Darrol Loper; and two sisters Nell Loper Crabtree and Linda Loper Fincher. She is survived by three children, Debbie Navas (Luis), Melanie Hassell (J.R.) and Steve Jordan; four grandchildren, Abby Randall (Joseph), Becca Mason (William), John Hassell and Jordan Navas; three brothers, Norvelle, Jerry and Joel Loper; other relatives and many friends. Visitation will be held on Saturday, January 5, beginning at 1:00 pm, at Mobile Memorial Gardens Funeral Home, 6040 Three Notch Road, Mobile, Alabama, until service time at 3:00 pm. Interment will be in Mobile Memorial Gardens. A chapel service will be held at 3:00pm on Saturday, 01/05/2019 from Mobile Memorial Gardens Funeral Home, followed by a committal service at the grave site.